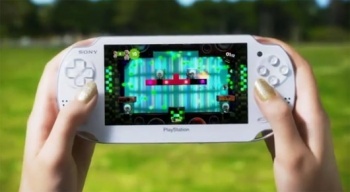 The NGP is still coming out this year, says a Sony spokesperson. Despite what SCEA boss Jack Tretton might have suggested earlier in the week, the official line from Sony is that the recent earthquake in Japan will not delay the release of its successor to the PSP, currently codenamed the "Next Generation Portable," or NGP. On Monday, Tretton said that the quake had added to the "competitive issues" that Sony faced with the NGP. He said that Sony was already looking at trailing Nintendo's launch of the 3DS by about eight months, and that the quake might push that up to a year. This would mean that the NGP's launch would slip from its rather sketchy Winter 2011 release window into early 2012 for most territories. Sony seems to have significantly different ideas about the quake's impact however. Speaking to the Wall Street Journal, Sony spokesperson Satoshi Fukuoka said that the reports of delays were "wrong," and that the quake hadn't yet affected Sony's launch plans for the NGP. He said that Sony would continue to monitor the situation, but at the moment, the NGP launch was still scheduled for this year. It's debatable whether the quake genuinely hasn't affected the launch, or whether Fukuoka is just doing a little damage control. It's quite possible that the launch will go ahead as planned, but that Sony's logistical costs and other overheads will be higher than it expected.